Education in almost every country in the world is subject to the grip of education ‘reform’ which is diminishing public schooling, promoting privatisation and destroying teacher professionalism. It aims to produce a narrowly educated workforce, which can read instructions and advertisements but is discouraged from thinking critically about the world. Betsy DeVos recently gallivanted around Europe, visiting schools. She has penned a commentary for Education Week “How We Can Catch Up to Other Countries in Education,” which is, of course, a putdown of America’s teachers and public school students. But there’s something greater going on here. Making America appear like it must compete against its European neighbors is a corporate move in itself. What Betsy fails to tell us is that other countries are facing the same school crisis as America. There’s an invasion of corporate rule of schools around the world, like there is here. GERM is the Global Education Reform Movement. As in this country, GERM is foisting a business model on teachers and schools everywhere. DeVos, who comes from the business world, whose family has reshaped education in Michigan and now wants to do the same in the U.S., must understand a tiny bit about GERM. Or those who are pulling her strings know about it. Pearson, the giant London based multinational, can also be found in schools around the world. They push their assessment, pedagogy, curriculum and management into schools. Well-respected Finnish educator Pasi Sahlberg believes Finland, considered the best school system in the world, is resistant to GERM. But a few years back, even Finland appeared to be making business-like changes to their school curriculum and promoting technology. The ultimate mission of DeVos is not only privatization of America’s schools, but schools everywhere. She and her corporate friends want the world. 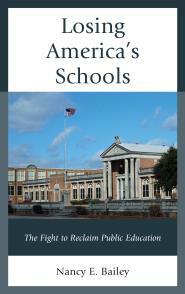 When you think of it this way, Betsy’s reforming of American schools takes on a whole new meaning. Thanks for sharing, Sheila. I have much respect for Pasi Sahlberg, but I think Finland is in trouble too. Funny you should write about GERM. Several days ago I fell upon GERM while doing research. Thanks for this information. People need to understand what we are experiencing in the US is taking place everywhere and it is all part of a global agenda. I truly believe we are too late to fix it because you cannot fix something that isn’t broken. The system is working exactly as planned. It is time for parents to stand up and take back control. Time to create an alternative power. Time to STARVE THE BEAST. I don’t think it’s too late to change course. Thanks, Karen. Unfortunately, parents are brainwashed into thinking that tests and technology are what our kids need to be successful. 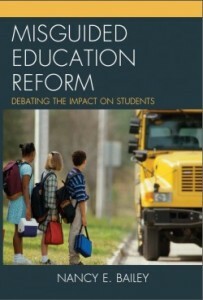 How do we convince parents and society that there is a problem with “reforms”? I wish I had an answer to your question, Mari. This is excellent! Thank you for sharing, Karen! Another timely and highly relevant reminder of what is happening there in the US and here in the UK. The destructive force of this global movement is hardly noticed outside education and certainly, most of the relatively few parents and families who are aware of its potential to permanently damage public education beyond hope of repair, know who to believe. When the BIG hitters, with their open access to an uncritical media put forward what appear to be ‘common sense’ solutions to the problems of preparing our young people for life in a fast-changing world, who are we the people to question – and so it continues. This long but informative piece by Fiona Millar posted on Local Schools Network recently, tells the tale from our end and is well worth you and your commentators exploring. Maybe the answer is an international response to this international problem!! Thanks for sharing, John. I look forward to reading this. I hoped that you would reply. I was struck by how DeVos used the UK and others to justify her criticism of America’s schools. Fiona’s article looks like it covers a lot of what’s happening there. Upon reading the actual article in full, I was struck by the thought that the author must have spelled her name incorrectly. Surely it should be Betsy DeVoid because what she has written lacks any resemblance to how most critically minded commentators in the UK see what is being done TO our schools, our teachers and most disturbingly of all, to our children and young people. Roger Titcombe and I are trying to engage interested parties here in a real debate about education. We are up against an establishment made up entirely of people who think little of teachers’ professionalism and see their own involvement as long overdue. Hope you are able to raise the temperature your end. I was serious about an international solution and it has to involve students and their families. An “international solution!’ That sounds perfect! Everything done there (and other countries) mimics what we do here and vice versa. The labels and language may be different, which I’m sure is meant to confuse, but it is the same thing! Here’s Karen’s piece from above. Even in the Philippines…. We are not the first. If you look at education reform (that is exactly what we are doing her now) in other countries it started in countries outside the US long before the US put it in motion and many countries are way ahead of the reformation. The US is a much harder sell so they go to the countries that will resist the least and implement these programs and then use that as leverage to get the US to step up. I wish we could fix it but I think we waited 20 years to long. It was slowed down in the early 90’s because some elected still had a conscience and parents were more engaged. Now we cannot even get 20 people to show up a meeting or rally on education. I had a perfect TN Student Privacy Data bill and it was killed because they were afraid it would affect federal money. So we sold our kids privacy for federal money. I asked them what federal law does this bill violate? Is there a federal or state law that says we cannot get INFORMED written consent BEFORE collecting and sharing personal data including mental health data? I got blank looks and the bill got killed. I wonder how TN parents would feel if they knew their children’s personal data was being shared with Oxford U in the UK? I put out the word but so far crickets. Next year I will be out of this fight and will dedicate the years I have left to homeschooling my 2 great grandchildren. I am working on putting together a school in my county so we will see how that goes too. Believe me it will not be funding with either state or federal money and the kids that attend will get true classical education. I WILL NEVER SELL OUT. NEVER. Karen, Like I noted in my message, we do agree on some things, but certainly not with others. I want strong local, state and federal involvement in our schools, but right now the leaders in all three are problematic and too tied to corporate influence. While I know of some excellent homeschooling situations, you are playing into the corporate/all-tech playbook. The thing they want most is to shut down public schools. They interjected their ideology and now they want to close them all. Tennessee is a good example. They have problems at all three levels, not just federal. You missed one:; not sure if it is intended or just an unintended consequence. deterring good students from entering the profession. none of the options will benefit students. Devos is going to bust the corrupt teacher unions that have devastated generations of our children. I know, because I’m a product of the failed leftist educational system. Statistics don’t lie – unlike you hacks. Your days are numbered. Love it! Steve, I rarely write about the teacher unions. But I am sorry you did not have a good school experience. I taught special ed. students with learning disabilities for many years and most of the teachers I knew were like me, committed to their students. But like any profession, there can be some who don’t do well at their jobs. I hope you can find your way. Take care. ReadDark Money by Jane Mayer. It is a history of how the wealthy control government through gifts to schools and universities. Scary!